Tomorrow (Thursday 18th April) fifteen Australians are heading to Kotdwara to present and be a part of our SHINE19 Women's Empowerment Conference. We are super excited and full of anticipation for the many lives we will impact. Our bags are all but packed with 350kg of luggage ... including 1000 toothbrushes, 1000 fans, 900 mirrors and lipsticks for our 800+ delegates, 350 packets coloured pencils, textas and tennis balls for the 260 children in our centres, teaching resources for our new Disability class, gifts for teachers and many others, not to mention just a small amount of space for our clothes and personal items. It gives us great pleasure to present our Annual Report for 2018. 2018 was significant for us as we moved forward in the breadth and depth of our projects and the level of support provided to individuals, families and the wider communities of Kotdwara and extending to the neighbouring city of Bijnor, India. We hope that you are able to take a small amount of time to read this report as we are confident that you will be both encouraged and pleasantly surprised by how much has been achieved within the short space of 12 months. In 2018 we received a total of $36018 in donations, a slight decrease from the year before, but none-the-less amazing! We anticipate and hope that this amount will increase this year due to us now being able to provide tax deductibility. For those who have so generously given to the 'Project help India' story, we cannot thank you enough. You may not realise this but you are a significant part of the story of people’s lives. We know these people, we have met them and spent time with them, many have become our friends and we love them. We have witnessed first-hand the difference your financial contribution has made to their circumstances, providing them with care, dignity and hope for the future. There are instances when we can say that your donation has contributed towards saved people’s lives, providing them with the immediate help that was needed to rescue them from poor health, floods or crisis situations. As we reflect on these many achievements, our heartfelt thanks and admiration goes to two very special and inspiring people, Amit and Daisy Samuel. It is Amit and Daisy who each and every day, pour out their hearts, energy and love to their community. Their efforts and sacrifices often go unnoticed, and their work is challenging and difficult. Amit and Daisy are both incredibly well respected by the leaders of Kotdwara and they are often called upon to provide counselling, guidance, respite and mediation. They are God’s hands, feet and voice to this wonderful town. Please do not underestimate the power of your giving. Please continue to be generous, and we sincerely ask with a measure of audacity, please give more. We have a very big vision for what can be done and achieved. We look forward to sharing stories about SHINE19 and more about the people who are our friends…they are your friends too, and they send you their greetings, love and gratitude. Please contact us, if you would like your donation to go towards a particular need or project that touches your heart. Please be in touch if you would like to know more. 1. Share our Story - please share this blog on Facebook, Twitter and other social media. Please write your name in the reference section so we can thank you. Thanks for making everything that Project Help accomplished in 2018 possible. With love and thanks from Doug and the 'Project Help India' team. This little boy is Moono. He is 7 years old and this week he captured our hearts. On Thursday Moono arrived at our door in Kotdwara, asking for some food and money as he sang and played his drum. Moono said that he does not have parents and he had walked all the way from Najibabad, another town quite some distance away. There is little doubt that this boy, like so many other children in India is vulnerable and at high risk of abuse and exploitation. He must be incredibly brave, and we can only imagine how scared he must be each night, alone and by himself, as he hides and sleeps in dark and unfamiliar places. After arriving at our centre, Moono was given a meal, he had a bath and was given a fresh set of clothes, which he is wearing in this photo. His face lit up with a beautiful smile, as he played his drum alongside 14 year old Jonathan (Amit and Daisy’s son). In this moment, Amit described Moono as “a wonderful image of God”. Soon after, as quickly as he appeared, Moono said he wanted to go. Daisy tried to convince him to stay but he just walked away, not to be seen again. Thank you for your donation to ‘Project Help India’. Because of you, we have the funds that position us to help the needy like this little drummer boy. In India the need is great and sadly it’s a bottomless pit but we can, and we do, make a difference. We know that small magic moments such as these, are significant for individuals like Moono. We pray that one day soon he might return, or we will find him and can help him some more. In the mean time, we pray that this little chap will be surrounded by angels and be kept safe. For all the strategy, forward planning and budgeting, we sometimes just never know who might arrive at our doorstep. Please share this story and encourage others to support ‘Project Help India’. Your donation goes a long, long way in making a difference in the lives of others. The Thomas Family, 8 other Aussies and a South African will be heading to Kotdwara in North India in just three weeks time, for ‘Project Help India’s second women's SHINE19 conference. This conference is an important aspect of the 'Project Help India' vision, and we can't quite believe that another year has come around. Compared to last year, the number of delegates has doubled, spanning two days and receiving registrations from close to 900 women. Please forward this email/blog to people you know whose business or company might like to support this wonderful cause…it’s tax deductible for them too. And please share this blog on Facebook, Twitter and other social media. Announcing some very exciting news - Tax deductibility! We have some very exciting news! Your donation to ‘Project help India’ (in Australia) can now be tax deductible. ‘Project Help India’ has been identified and selected as a worthy partner by the ENTRUST Foundation, an Australian based foundation which seeks to support projects such as ours, which provide international aid to help communities and people who live in the poorest and toughest of circumstances. You can make a donation and receive a tax deduction. Your donation, will still go directly to ‘Project help India, minus a small 2% admin fee. This fee also assists ENTRUST to provide ‘Project Help India’ with coaching, mentoring, and resources for compliance and good governance. Project Help India’ is also now able to enter the space of being able to ask for corporate donations. Perhaps your business or workplace can now become a regular donor? Please ask us how we can provide the information and resources for you to share our story with a wider audience, and have others join us in making a difference to some of the most needy people in the world. We love you and thank you, for being part of our story. Some of the beautiful girls from the ‘Project Help India’ staff and teaching team. This week is International Women’s Day 2019 and the United Nations theme is ‘Think Equal, Build Smart, Innovate for Change’ …isn’t that amazing! We may know that all genders are equal but in many societies, especially in traditional India, woman still experience significant discrimination. The concept of women’s rights is relatively new and not even considered in many communities. Men and women may know that women’s rights are important but when you are dealing with entrenched traditions, behaviours, mindsets, values and attitudes, it is difficult to understand how this translates to contemporary day to day life. Women’s education and health education are key. Through this, women gain knowledge, they understand change and health, and they get a picture of what success, flourishing and all of life’s possibilities can look like. “empower and educate woman to have strength value and purpose, value themselves and change their community”. Many woman who attend SHINE Conference have no idea about women's health education and if they did, wow, not only would their health change, but their family and wider community would change for the better too. For starters once they get their periods they would know why, how and what to do. This could help them go to school as many young girls drop out of school when they get their periods. Women would know that menopause is normal and they would understand what happens when they go through it. A knowledge of contraception, personal hygiene, relationship consent, personal boundaries, body safety and protective behaviours would certainly change their lives, in places where physical and sexual abuse are commonplace. Education in woman’s health has changed over the years. Historically life was more difficult, woman became wives and mothers a lot earlier, as well as contracting diseases with earlier mortality rates. Many Indian woman in the past were not concerned about ‘old’ age because most did not reach old age. At 'Project help India' we celebrate girls and we honour the contribution of women in our community. We are changing India by educating our girls. The possibilities are endless and exciting. As we celebrate 'International Women's Day' might you be able to help girls and women attend SHINE? Please gift a sponsorship to a delegate. Your gift will change her life. Consider making a one-off donation. It'e easy to calculate at $10 a girl. Thank you to the many people who have already done this. You are amazing and we are so appreciative. With love and thanks from the ‘Project Help India’ Team. With just 10 weeks to go, anticipation is growing as ‘Project Help India’ prepares for the annual SHINE Conference in April. Our conference aims to educate and empower women and in doing so, raise a new generation of women whose dignity, individual strengths, talents and purpose will create a strong, happy and healthy India. Through our work at Project Help India we are providing hope through education and opportunities that many girls and women living in poverty, would never have thought possible. Prior to attending our classes, Anjali was a victim of childhood labour. Now, she is achieving well in her studies and she is also enjoying success as a soccer player. Who said that sport is just for boys! Anjali's mother Poonam will have the opportunity to attend our SHINE Conference in April. Poonam's life is about to be impacted, and her influence in her slum community is going to be far reaching, as mindsets are altered regarding the role of women in the community. 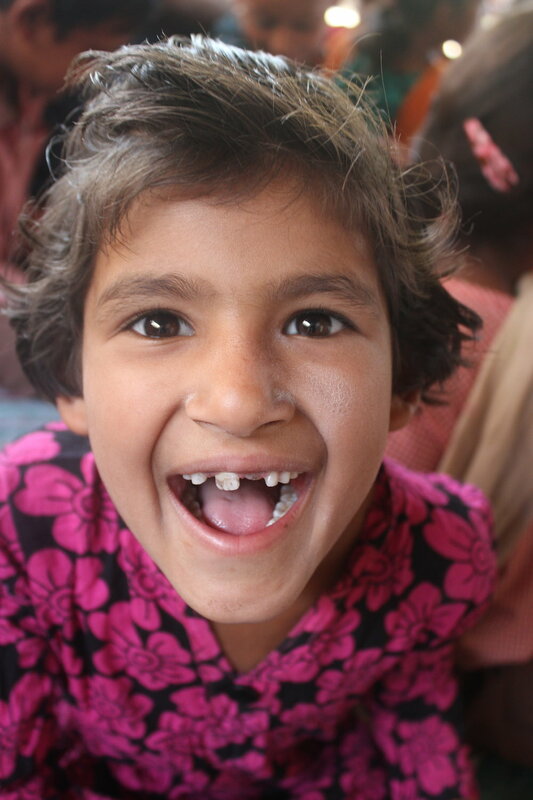 Can you sponsor a woman like Poonam? We need your help to make it possible for them to attend SHINE. Please consider making a special one-off donation. It’s easy to calculate @$10 per delegate. If you care to read on, here is the story (written by staff in Kotdwara) of Anjali and her mother Poonam, whose lives and family circumstances have already been impacted by ‘Project Help India’. Wonderful stories like this are only possible because of the generosity of our Australian supporters. Many women from Poonam's slum community will be attending SHINE19. Thank you if you have recently made a donation. Today we visit Anjali’s home; she is one of the student in our city center. There we talk with her mother named Poonam. She said, It’s a big thing that our children are studying in Center without paying fee. Our girls are learning computer also here. A year ago before our children coming to Project help, my daughter used to roam around. She couldn’t read or write. But within 5-6 days of coming Education Center, she started to like it. When I asked to my daughter how you feel there? She replied I like studying through activities. Today my daughter can read Hindi as well as English. Through the Project Help we knew that it’s illegal for children below 18 years of age to work and they also have the right to education. Amit sir also helped some children who were working as children labor at a very young age. He helped them and get admission in City Center. Amit sir said, the student who have dropped out, we work to re- enroll them through RTE act. Children must have the right to education. Earlier Parents wouldn’t send their daughters out of the house. We mobilized them, called them over at Project Help and spoke to them. When the meeting happened face to face, they saw how confident their kids and how much they wanted to play and study. Anjali’s Parents also agreed to let her play game. Anjali said, now I am playing the match against the boy. I was proud as I was coming after winning the match. Anjali’s mother said; "when I saw my own daughter playing and offer them congratulation on their victory, it felt us both happy and sad. I realised that we were restricting our daughters on something that other people were actually praising her for game. I and husband finally felt so proud for her." Mr. Amit sir said,The society has enforced so many rules for girls you can’t go out, you can’t go anywhere. Why? Girls should have the same rights that everyone else has. Anjali mother said that Project Help is changing people's negative thinking and that they also can now move forward in life. And in our area, I and many other families are starting to bring our daughters forward on their own. At Project Help we are working hard to improve children's life and future. Soniya and her mum Kanti Devi will be delegates at our April SHINE Conference. Both women have had their lives and family circumstances changed thanks to the work of 'Project Help India' - thank you for being a part of their story. With just 11 weeks to go, anticipation is growing as ‘Project Help India’ prepares for the annual SHINE Conference in April. Our conference aims to educate and empower women and in doing so, raise a new generation of women whose dignity, individual strengths, talents and purpose will create a strong, happy and healthy India. 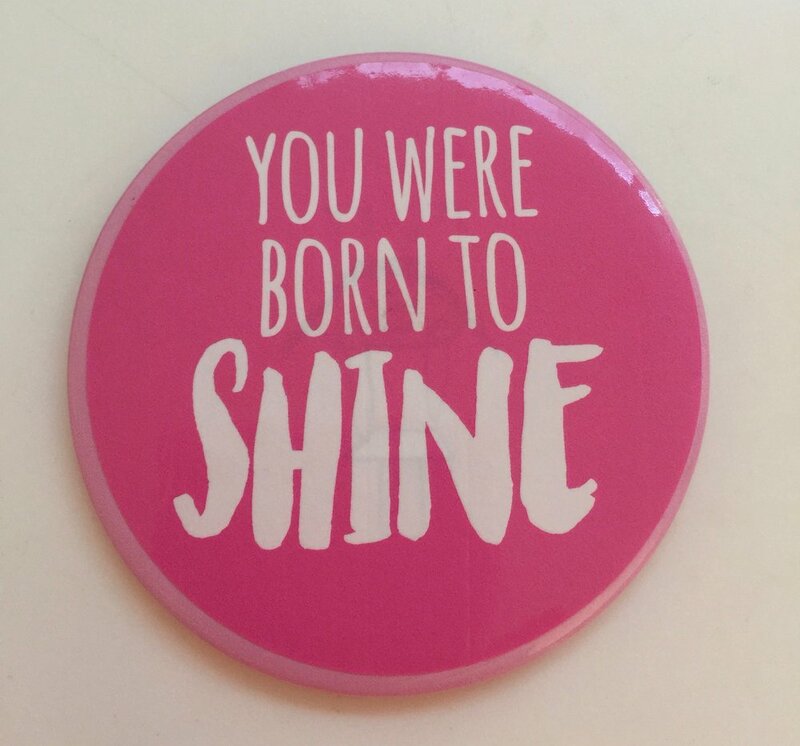 We held our first conference in 2018 with close to 500 women attending and due to its success, this year we expect 850 women, who over two days will be joining us for SHINE19. For the past 12 months, many women have not stopped talking about SHINE 18 – which was nothing like any had ever experienced before. They simply can’t wait to do it all again. The word is out about SHINE19 and the excitement is building. Gender equality is an important priority for the Indian government. Many schemes have been launched to ensure that women, across all spheres of the society, have equal access to education and resources, that they are valued, treated with dignity and are equipped to contribute to their families and community. Project Help India is working hard to promote women’s equality in Kotdwara and Bijnor through access to education, training, parent programs, social work, and of course through SHINE Conference. Our SHINE19 venue has been secured, and preparations are in full swing. Buses have been booked to transport women from a number of towns, villages and slum communities. Registration for delegates is also underway, and while the conference is free to attend, 'Project Help India' covers all costs. At this point in time we anticipate that SHINE19 will cost approximately $8500 (AUS) in total - that’s $10 per delegate. We would be delighted if you could sponsor some delegates. For every woman who attends, there will be a powerful story of the impact of SHINE19 extending to her children, her family and community – not to mention providing her with the experience of being blessed, pampered, enjoying a delicious meal, having a day of fun, dancing and celebrating with the girls. The memories are sure to last a lifetime. Through this, your story will connect with her story. We need your help to make this possible. Please consider making a special one-off donation. It’s easy to calculate @$10 per delegate. If you care to read on, here is the story of Soniya and her mum, whose lives and family circumstances have already been impacted by ‘Project Help India’. Wonderful stories like this are only possible because of the generosity of our Australian supporters. Soniya and her mother, Kanti Devi, will be attending SHINE19. Soniya is a student in our city center. Today we visit in her house. There we met her mother. She said, my name is Kanti Devi. My husband is a daily wage labor. We are very thankful to the Project Help that they enroll my daughter to the computer class and tuition class. One day Soniya told me that she want to learn computer but my husband denied this because My husband thought that girls will marry and go away to another house. All the money we spent in sending her to computer center will only benefit an outside family. I was hopeless because I could’nt help my Soniya. Then a Project Help teacher, Naomi madam came to survey at our area there she talk to me and told me about PROJECT HELP. She helped my daughter. Now my daughter runs the computer. I feel so proud. I always said to my husband that it’s the girl who will take care of their family. Soniya said, if I study, my family will not be poor anymore. Yesterday morning, we received the news that one of the families we care for in the Kotdwara slums is in crisis and requires emergency help. At about 11am Friday morning, their entire 'house' burnt down. The impact of the fire was devastating, destroying absolutely everything. After trying to save some household items from the flames, Deepak, the father was rushed to hospital with burns to his hands. Thankfully the other members of his household are okay. Deepak is a single dad with an 8 year old son, Anukul, who attends our Riverside Slum School. Deepak’s older brother Sharma, also lives with them. Amit, the Director of ‘Project Help India’ was immediately called to help. He was one of the only people who Deepak could turn to. In the video that is attached to this email, you will see Amit describe the impact of the damage. This incident made the local television evening news, and if you watch the second video (even if you can’t understand Hindi), you will see Amit being interviewed. ‘Project Help India’ has provided counselling, guidance, and some basic items such as mattresses and food. BUT we are confident that we can do more. By the end of this week (if not sooner), we hope to raise $400AUD (20 000 Indian rupees) which will pay for the reconstruction of Deepak’s entire house, as well as the replacement of all their essential belongings. $400 equates to approximately 75% of Deepak’s annual salary. Deepak, one of the poorest of the poor, is a reg-picker who collects old plastic off the streets and dried river beds for a living. He earns 50-70 rupees ($1- $1.40 AUS) a day with most of his income coming from selling door to door, old plastic items. As we help this special family we will make a powerful statement about God’s love for people and the importance of us playing our part to help the needy. Our witness to the wider community will also be powerful. Deepak and his family will have their lives put back on track thanks to your compassion and generous support. If it’s possible for you to make a small donation we would be very grateful.